In the real life, we often use bees to describe people who are very busy and work hard, that you can say someone is "busy as a bee". Are bees really so busy? Let's take a peek at what these cute creatures are doing every day. 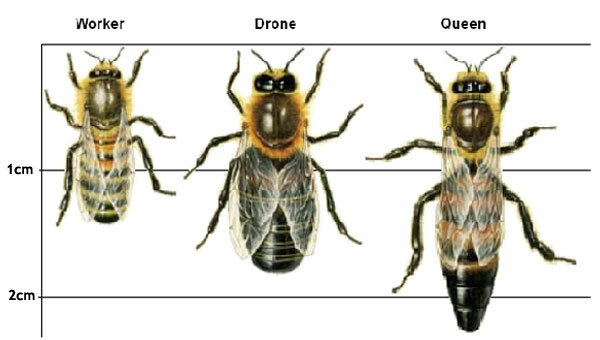 Firstly, there are three types of honey bees in a hive: queens, workers and drones. (1) The worker bees, which are all females, are tasked with the foraging of nectar and pollen, spending most of daylight outside the hive. 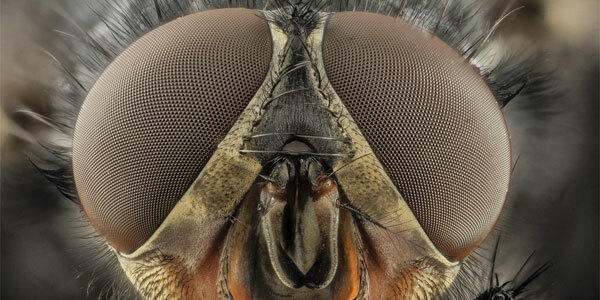 Entomologists have reported that these bees make more than 100 foraging trips in a day. When the sun goes down, they head back to the nest. (2) The queen bee is also busy, each hive can have only one queen bee. Hers role is to fill the hive with eggs. A queen bee can lay up to 1500 eggs in one day and more than a million eggs in a lifetime, she can also control over whether she lays male or female eggs. (3) Drones, the male bees, have it the easiest. If fertilization is considered a kind of work, then that is the only work they do. They leave their hive for only two to three hours a day and rely on the worker bees for food. PS: Honey bees have 6 legs, 2 compound eyes made up of thousands of tiny lenses (one on each side of the head), 3 simple eyes on the top of the head, 2 pairs of wings, a nectar pouch, and a stomach. As bees do not have eyelids, they do not sleep the way we do; they simply stop moving and take a rest. 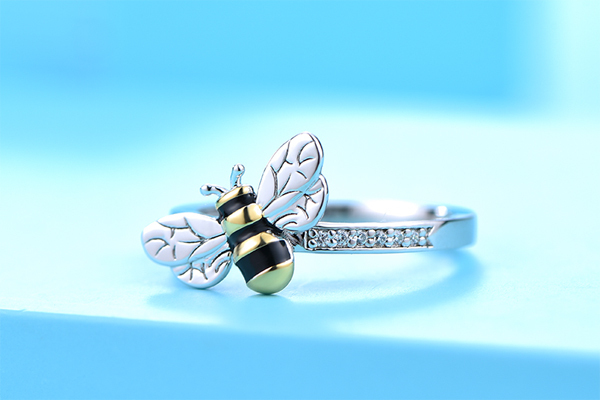 Buzz, buzz, busy bee... Bees never sleep! The next time you open a jar of honey, remember the long days of the industrious honeybees and how much time and hard work has gone into making the golden liquid - In the average worker bee's brief lifetime of four to five weeks, she will make just one-twelfth of a teaspoon of honey. 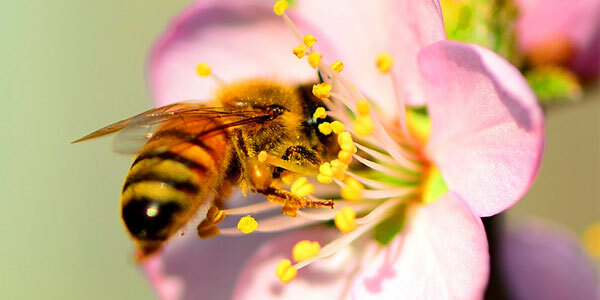 It takes about 60,000 bees, collectively traveling up to 55,000 miles and visiting more than 2 million flowers, to gather enough nectar to make just one pound of honey (Source: The National Honey Board). 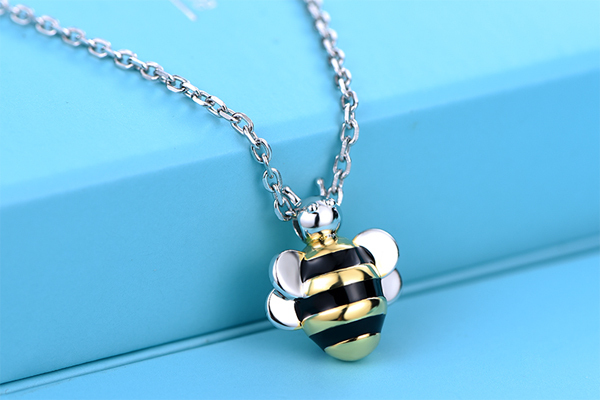 In reality, most of the jewelry designers prefer to use colorful and ethereal butterflies as design elements instead of hard-working bees. So, we always see lots of brands are racing to bring butterfly-themed jewelry to the market. It is true, the beautiful butterflies certainly add more magical color to the nature, but who can claim that the cute honey bees do not have their own unique beauty. 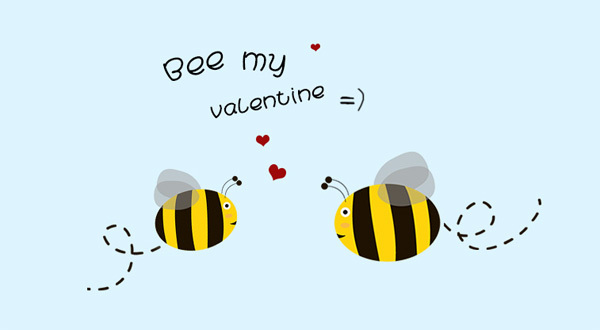 According to legend, one of the love arrows inadvertently fell to the earth when Venus gave them to her boy Cupid - this is the bee sting, then bees became human Cupid, love guardian, fought for love.